The teensy turquoise spacer beads (yes, they're hand-torched glass!) are by Meital. I've paired them all with antiqued copper findings--the beadcaps, decorative rings at center, "underbar", focal bar portion, jump rings and toggle bar are handmade by me. 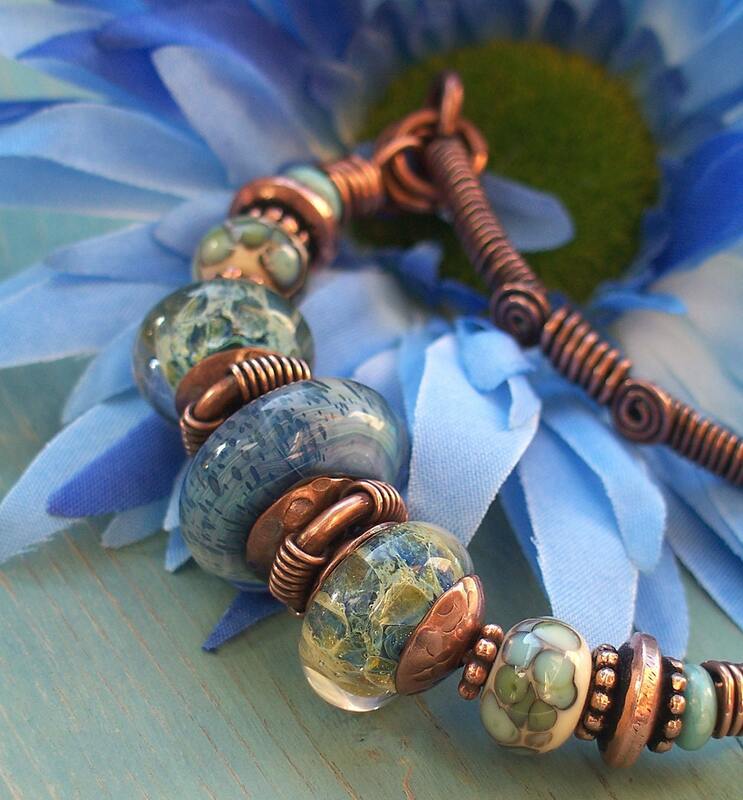 The two copper beads and copper "daisy" spacers are commercial. Folksy :: Buy "Copper bangle with lampwork focal bead and Swarovski crystals in blue and peach"
Folksy :: Buy "Aqua glass charm bracelet"
Folksy :: Buy "Green Shimmer Glass Lampwork Bracelet"